•Immerse yourself in artistic and creative expression. Thoughts: Do what you love. Your subconscious mind is the playground of your imagination. Unleash your bonds of personal convention and societal restraint, surpass your usual limits. Stretch the boundaries of your creative mind. Drop the restrictive beliefs and tap into the most natural drive toward creative, artistic expression. Throw yourself into it, it is food for the heart and soul. Take the plunge. 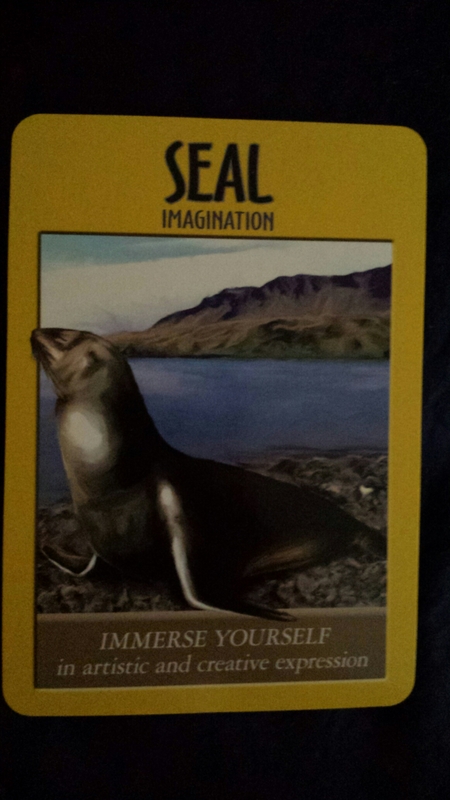 Deck: Power Animal Oracle Cards by Steven Farmer.